Carol Cahill, MD, FAAP (Dr. “C”) is originally from Southern California and attended Cornell University in Ithaca, NY, completing a double major with a Bachelor of Science degree in Neurobiology and Asian Studies. She continued her education at the University of Southern California where she became a Ph.D. candidate for the Department of Anatomy. She then attended USC’s, Keck School of Medicine earning her Doctor of Medicine degree in 1984, all while having four children. During her years in medical school, she was a teaching assistant and tutor to other medical students. It was while in medical school that she realized her passion for ensuring the care and well being of children and went on to complete her pediatric residency training at the University of California, Davis at the Davis Medical Center in Sacramento, CA. During her residency, she married Dr. Edward Cahill, a Stockton orthopedic surgeon. They have lived in Stockton since 1988 and have four grown children, three of which are physicians. 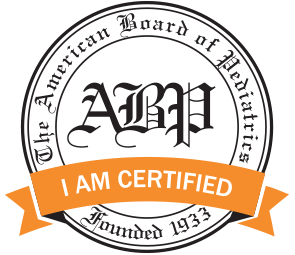 Dr. Cahill is board certified Pediatrician with the American Board of Pediatrics which identifies her as a specialist in the care and treatment of infants, children, and adolescents. She is on staff at exclusively at St. Joseph’s Medical Center. Dr. Cahill currently serves as a preceptor to fourth year medical students and nurse practitioner students during their pediatric rotation for several medical schools within California and across the nation. She is a member of the American Academy of Pediatrics, the California Medical Association, and the San Joaquin Medical Society. Dr. Cahill is a founding partner of Pediatric Associates of Stockton. In her spare time, Dr. Cahill enjoys spending time with her family (especially her grandchildren), swimming, and hiking.